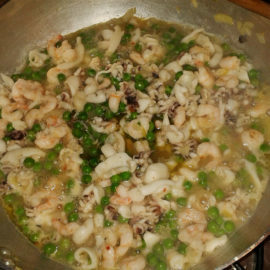 Mince the parsley and put it in a bowl. 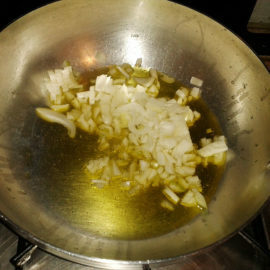 Clean, mince and fry the onion in a little olive oil. 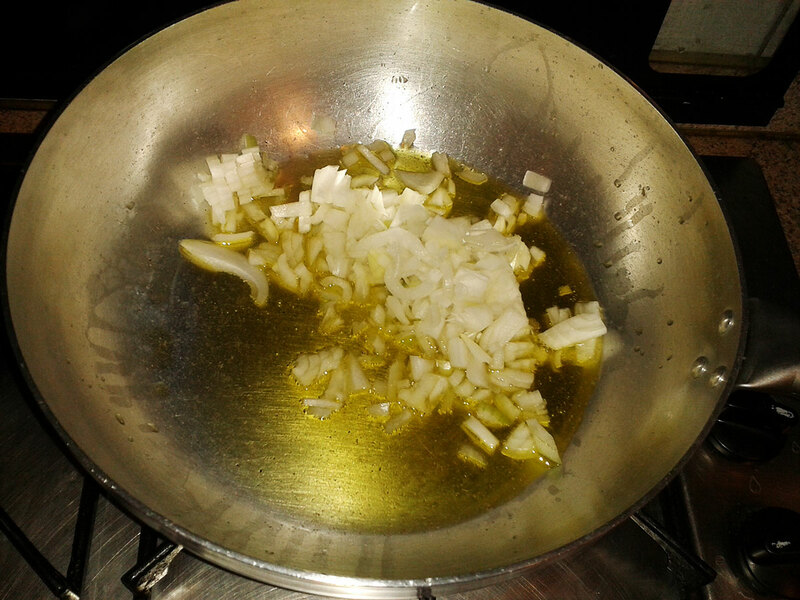 All in a big fry pan. 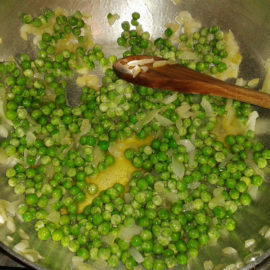 Add the peas and let cook for at least 5 minutes. 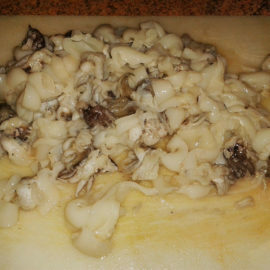 In meanwhile clean the squid and cut them in regular ring. 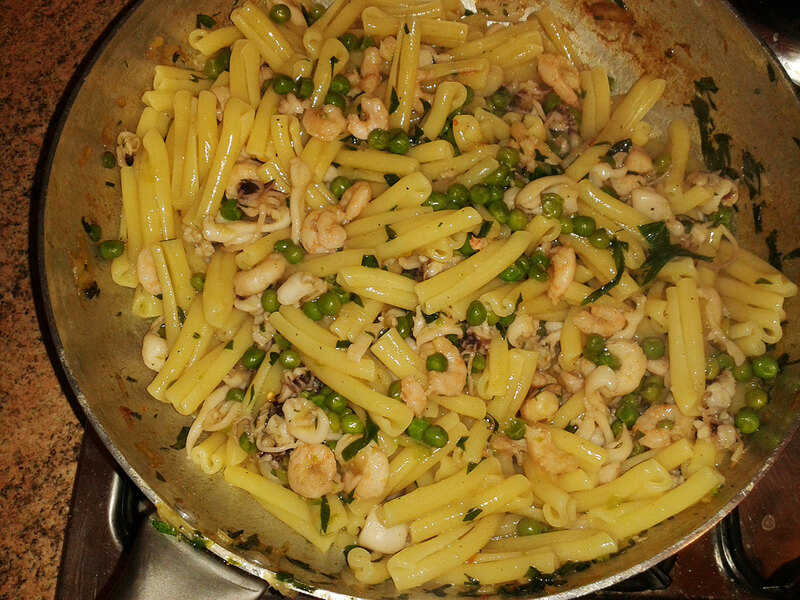 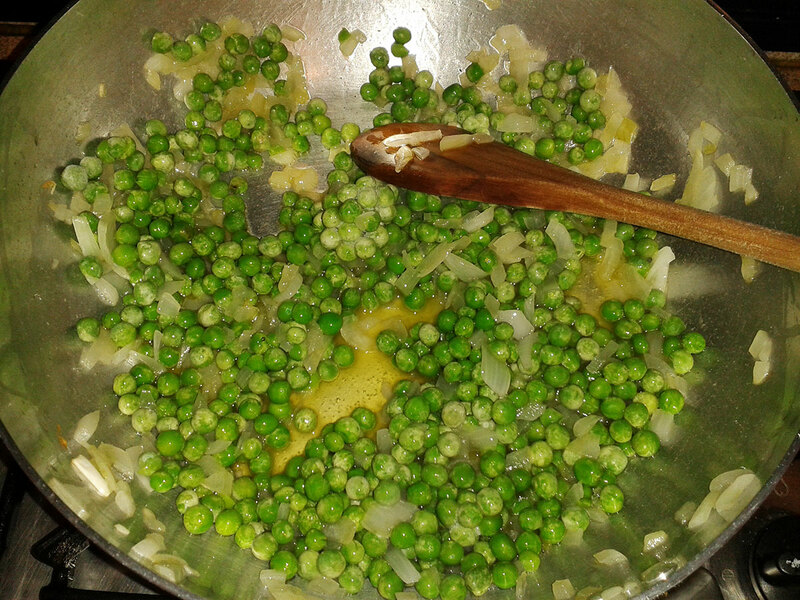 Add all to peas, add salt and chilli pepper to taste. 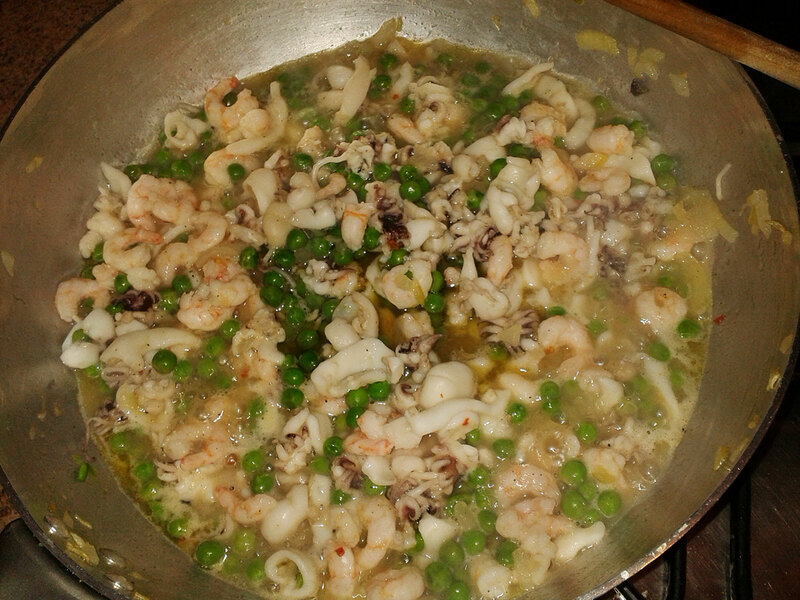 Let cook other 5 minutes and add the shrimp. 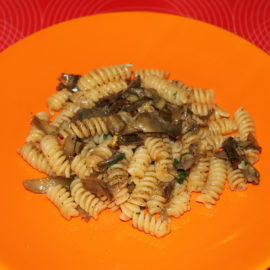 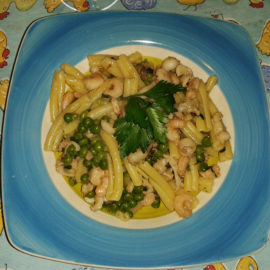 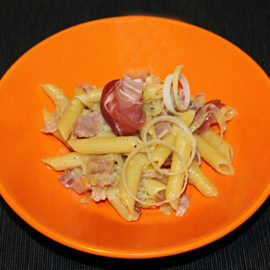 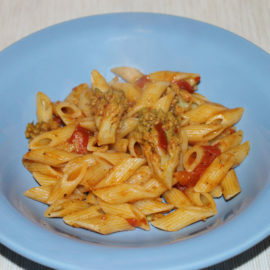 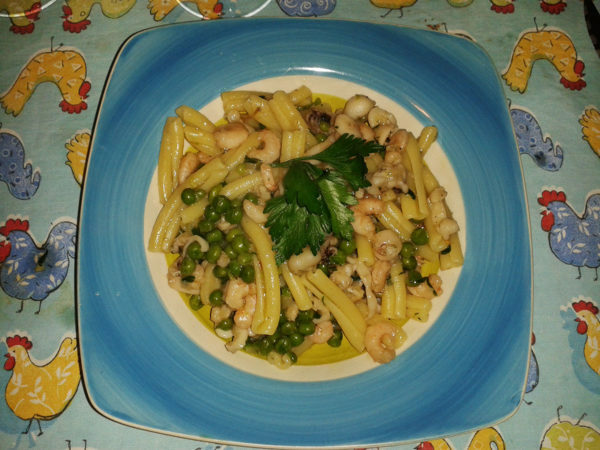 In a boiling pot cook the pasta "al dente". 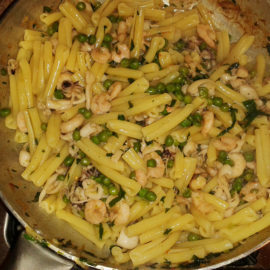 Drain pasta and add in the pan with the minced parsley. 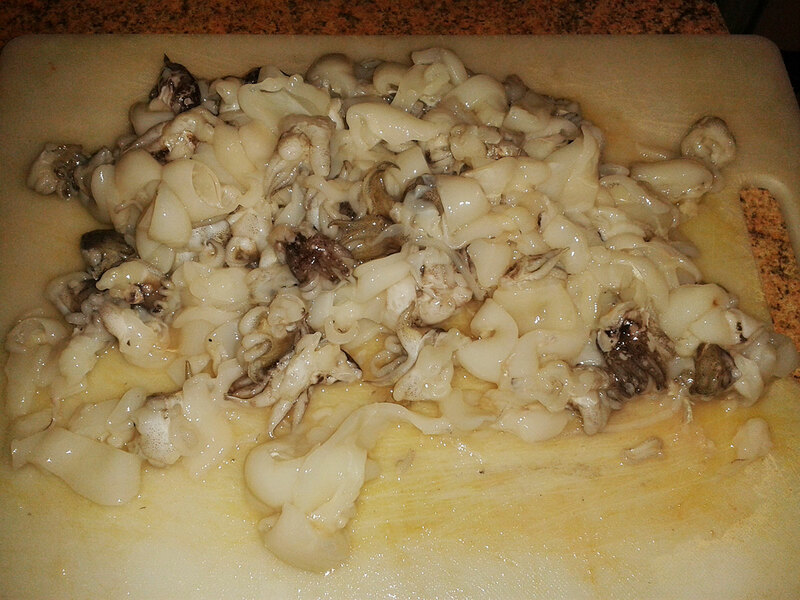 Sauté a couple of minutes and serve.